Recover Data for Linux is advance Linux file recovery software which recovers damaged files & folders from the Linux Ext2 & Ext3 volumes. Linux data recovery software to recovers Linux files data and folders which gets corrupted or damaged due to group descriptor block corruption Inode table or Super Block corruptions deleted partition structures file deletions and unexpected system shutdowns. Recover Data for Linux data recovery software is equipped with advance algorithm which performs exhaustive scan of the damaged drive & restore deleted Linux files. The recovered data is displayed in a tree like structure through which user can easily select the appropriate file and save to a working volume or disk. 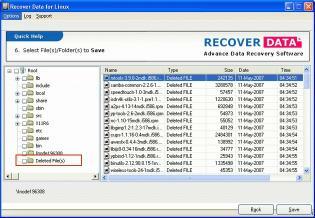 Linux recovery software easily recover Linux files which get accidently deleted by RM command. Data recovery Linux utility recover data even if the partitions are formatted or reformatted. Linux partition recovery software restore Linux partition and allows access to data when the volume(s) cannot be mounted. 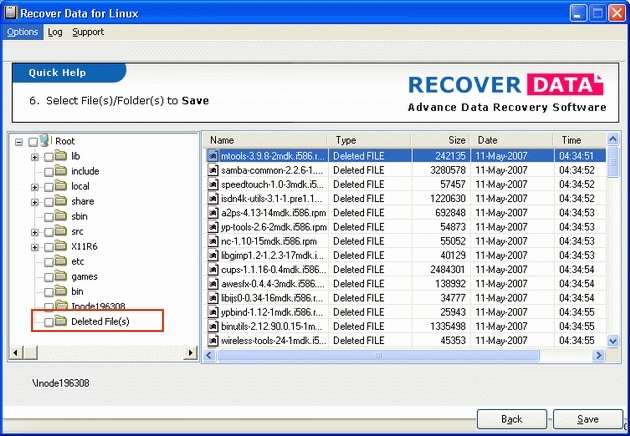 Linux disk recovery software to recover files with original file names.  File recovery Linux utility support all version of Linux OS like: Suse Linux Mandriva Linux Mandrake Linux Turbo Linux Ubuntu Linux Debian Caldera Linux Slackware Linux Gentoo Linux Kubuntu Linux beside Redhat Linux. Try it now & get the full version (Linux data recovery software) to save all data it because the saving option is restricted in DEMO version. Thus purchase Linux file recovery tool today after testing it & satisfied with its given result.